We are pleased to spotlight our keynote speaker Dr. John Howard who will speak on September 17 at the ISRP 2018 Conference in Denver. Written on 27 March 2018 . 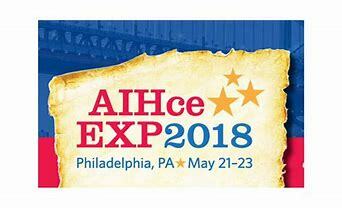 The annual Board of Directors meeting will be held in Philadelphia in conjunction with the AIHce 2018. Agenda and location of the meeting is attached (PDF). All society board members are encouraged to attend and the meeting is open to all members in good standing. Written on 06 December 2017 . 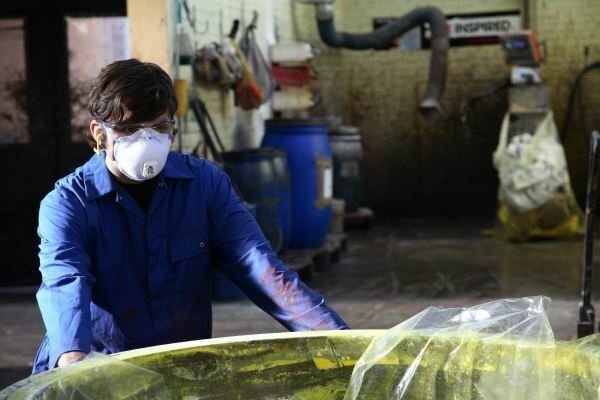 The UK Health and Safety Executive (HSE) has issued a call for workplace, simulated or laboratory Total Inward Leakage (TIL) data. 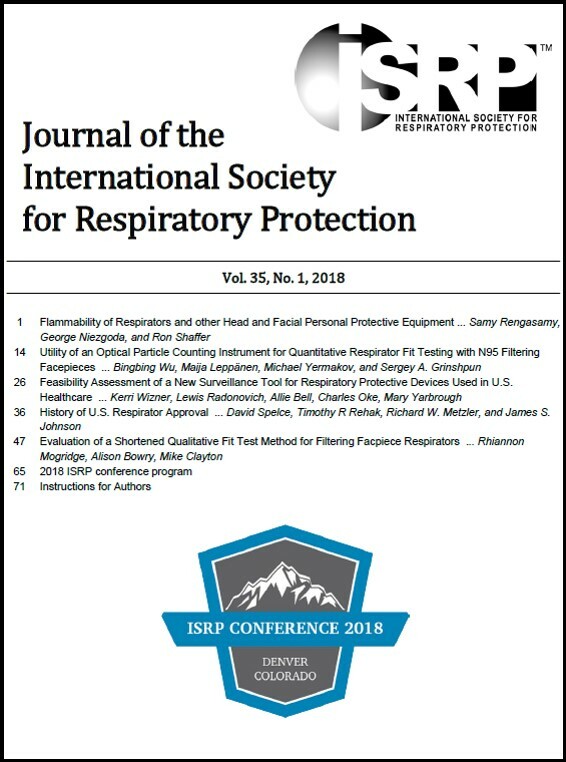 The latest Journal of the ISRP has been published. Volume 34 No. 2 is now available to ISRP members. Written on 13 July 2018 . 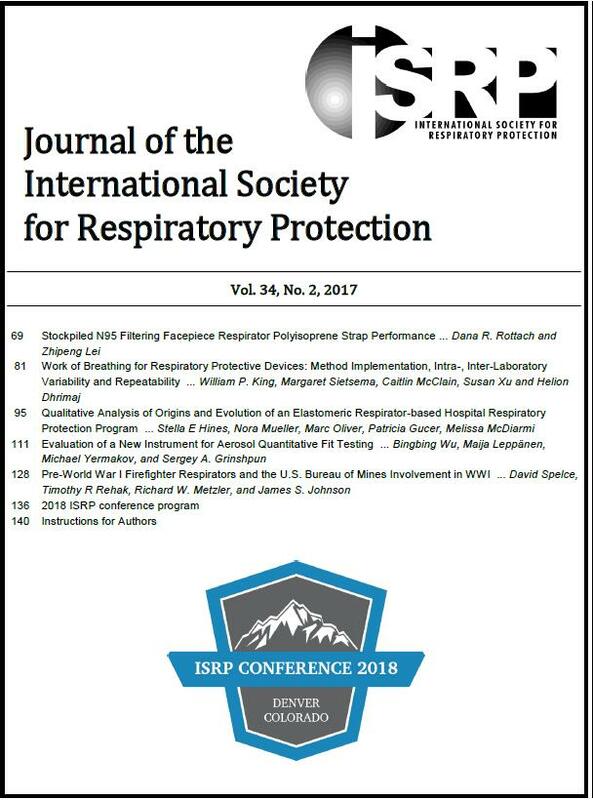 The latest Journal of the ISRP has been published. Volume 35 No. 1 is now available to ISRP members. Written on 17 September 2017 . 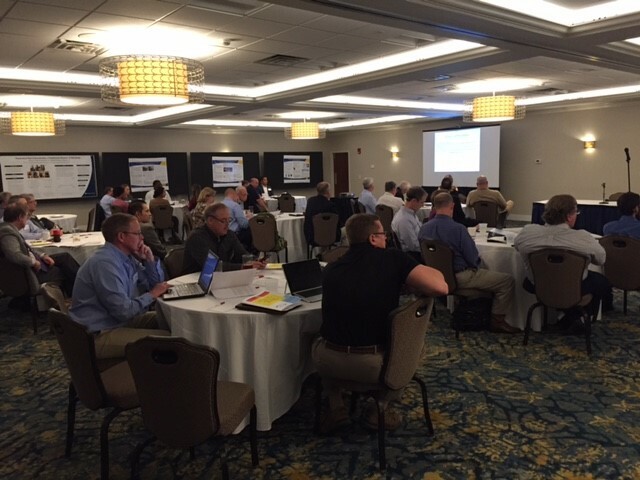 The 2017 Americas Section Technical Conference and Annual General Meeting was held on Wednesday, September 13, 2017 at the Crowne Plaza Hotel in Pittsburgh PA. The focus of the meeting was powered air-purifying respirators and included 11 presentations and 10 posters. Sixty seven people attended the conference. The presentations and Americas Section Annual General Meeting presentation is posted to the Member’s Only section under Americas Section Minutes. Written on 25 August 2017 . 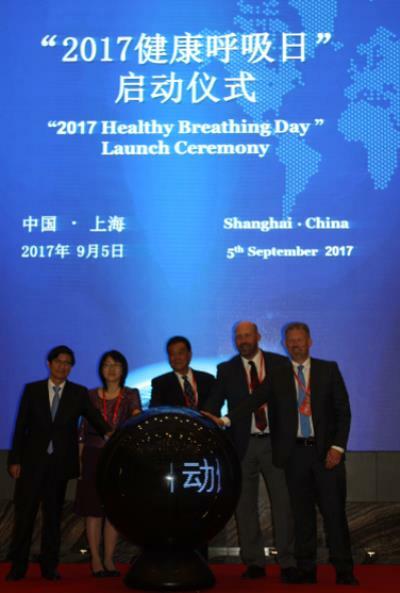 CUPPE, NIOSH, ISO TC94 | SC15, ISRP, and IOHA jointly announce 'Healthy Breathing Day' 2017. Written on 06 March 2017 . The ISRP Spring Seminar and AGM is taking place in Kortrijk, Belgium on 20th-21st April 2016. Announcing The General Meeting & Commemorative Lectures taking place in Tokyo, Japan, on 20th May 2016. ISRP Announce location of 2018 World Conference! The ISRP Americas Section is pleased to announce the 19th Biennial International Conference which will be taking place in Denver, Colorado on September 15th – 20th, 2018.